Are you searching for a payroll solution to handle your company’s growing needs? If so, you are not alone! We talk to businesses every single day who are seeking a better way to manage their payroll processes and tax filing. About 380 people each day search the internet with the term ‘payroll software’. That’s a lot of searches! So how do you know if you’ve come to the right place? Consider these figures about those who benefit from our payroll software. About 33% have outgrown their basic payroll software. Perhaps your system has hit its limit on number of employees or years of history? Maybe you got new computers and the old software system you are using won’t work with them, or you are losing support for an older system. We talk to people every day with these issues, and our newer technology and no cap on number of employees, years of history, and other data can help tremendously! About 27% need specific features to accommodate their business needs. Whether it’s the management of payroll in multiple states, pay by piece rate, different pay types for an employee during the same pay period, or MANY more features, CenterPoint Payroll Software can fulfill those needs! If you have a specific feature that is missing from your current payroll software, just ask us. There is a good chance CenterPoint can handle it and make your life so much easier! 27% are new businesses. Whether your business is small or large or in between, it is special and can have unique payroll needs. Restaurants need a system to help manage employee tips, farms may need to manage piece rate for the picking of produce, and accountants need to manage after the fact payroll. All of these (and many more) are important features yet can typically not be managed with basic payroll software. That’s why so many new businesses start out with CenterPoint Payroll Software. 13% or so are cutting costs or bringing their payroll back in-house. Using a payroll service is popular and those who like it should stay with it! 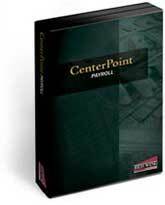 But for those wishing to bring their payroll back in house, CenterPoint is an excellent option. Some companies want to save money, and some want to gain control of their payroll. If you would like to check into those options, be sure to keep CenterPoint Payroll Software on your list of options. Red Wing Software and CenterPoint Payroll Software help thousands of businesses manage their payroll efficiently and for less money. To see if we have a good fit for you, please call 800-732-9464 or e-mail: info@redwingsoftware.com. If you are looking for accounting software and you came across our site, you might be wondering where CenterPoint Accounting Software and Red Wing Software fit into the scheme of accounting software programs. There are so many accounting software companies out there; it can be hard to tell the difference between them all. To give you a good idea of who we are, consider these statistics about the people who are benefiting from our software. 37% have outgrown their basic accounting software. People who started with a basic or “shelf” accounting software find that their business has outgrown the basic software’s capabilities. Perhaps they are entering too many transactions or inventory items, or the system is getting bogged down by too much stored history. This group also includes those who are using old, outdated systems for which they are losing support or the software cannot operate on newer computers they are purchasing. CenterPoint Accounting Software is a mid-market program and works very well as an option for those outgrowing their basic accounting software! About 26% need better financial reports or specific software features to handle their company’s needs.People who desire better financial reporting account for a large percentage of new customers! Tracking information by department or profit center, drilling down to source entries, and a tight audit trail are all important considerations for a growing business. 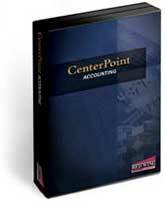 CenterPoint Accounting Software performs these functions very well. Many specific software features are also handled in CenterPoint. Managing multiple companies & consolidated reporting, managing multiple units of measure, and the ability to create custom reports are just a few of the features that can be handled within CenterPoint. 20% are new businesses.Not everybody wants to start out with a basic shelf accounting software program. Those who understand the importance of good financial management and those with more complex needs at the start of their business turn to CenterPoint Accounting Software. 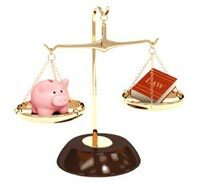 17% are cutting costs or bringing the accounting back in-house. People who find themselves paying for and using a system that is way more functionality than they need often find that CenterPoint can handle what they need, and for significantly less money. People who are also trying to cut costs and gain control by bringing their accounting back in-house also find CenterPoint to be a great option. Red Wing Software and CenterPoint Accounting Software have helped thousands of accounting software users manage their financial information. Contact us today to see how we can help you by calling 800-732-9464 or e-mailing info@redwingsoftware.com. If you sell anything online, this article will be of interest to you! These new bills can drastically affect the tax you collect. Have you ever called a service department and, after tirelessly choosing numerical options and being redirected, reaching somebody who cannot answer your question(s)? We’ve all been there. It is not a pleasant experience. If you are a Red Wing Software customer, then you have probably worked with our support team at some point. We pride ourselves on having a support team that is knowledgeable and helpful. I just checked and found out that the average years of experience within our support team is a whopping 13 years. So, when you call in with a question or problem, we’ve got an experienced team ready and waiting to help you!